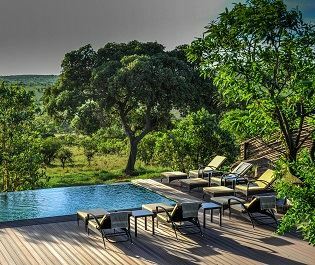 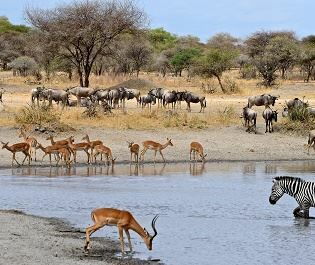 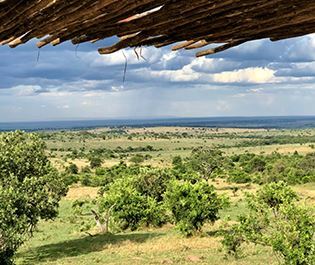 Travelling alongside the wildebeest migration, Sanctuary Kichakani Serengeti Camp offers an amazing front row seat to this natural phenomenon all year round. 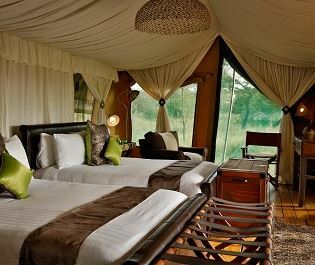 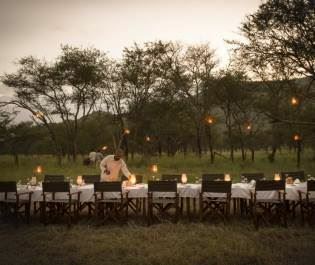 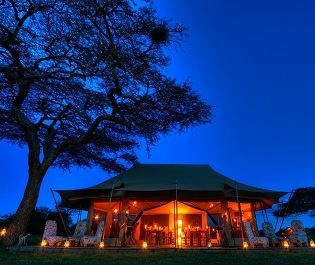 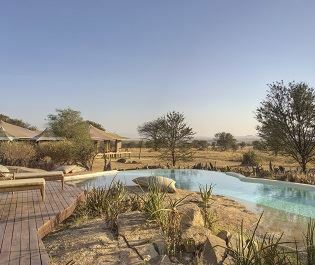 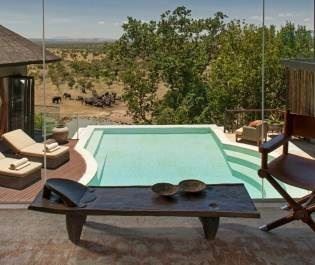 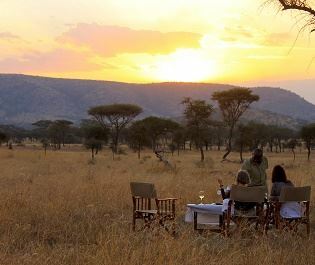 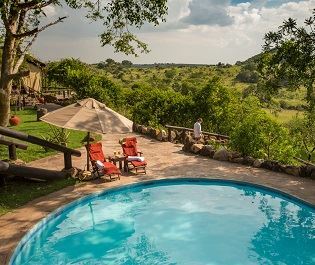 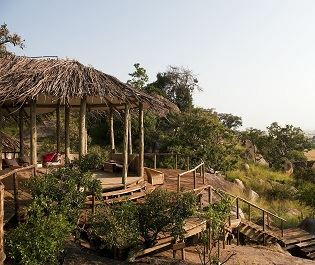 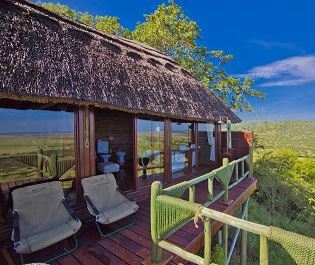 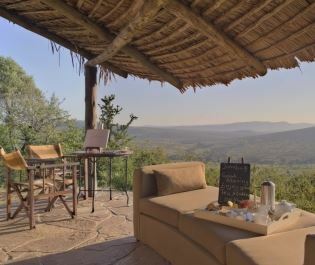 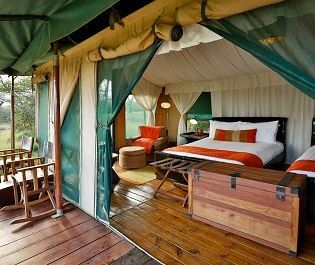 Moving between three areas within Serengeti National Park, we love the camp’s luxurious touch to eco camping. 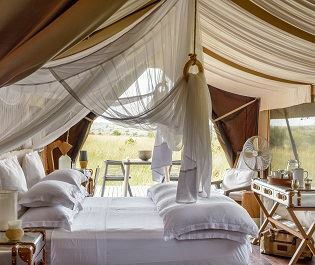 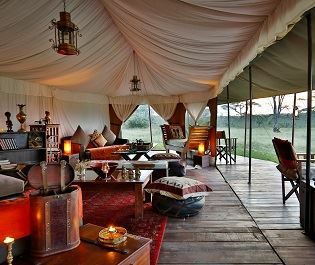 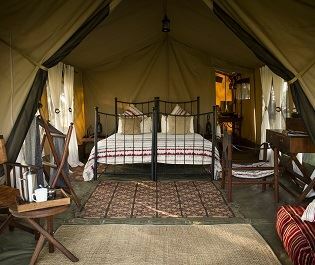 Despite being a mobile camp, the 10 tents add a hint of modern charm to their classic safari canvas structure. 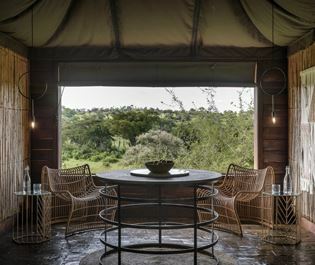 With billowy ceilings and contemporary furnishings, you’ll feel like you’re relaxing in luxury whilst still enjoying the area’s natural beauty. 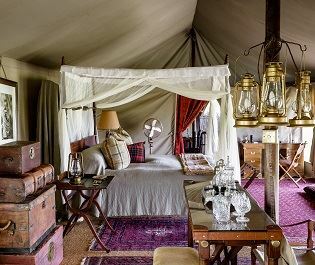 We couldn’t help but love that each tent has its own personal attendant, too. 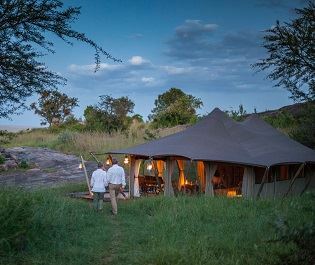 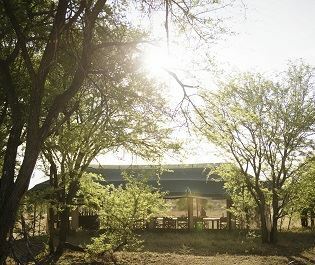 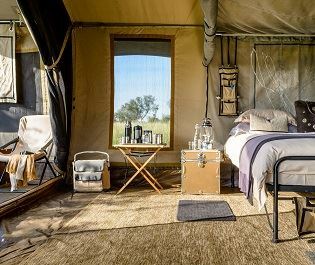 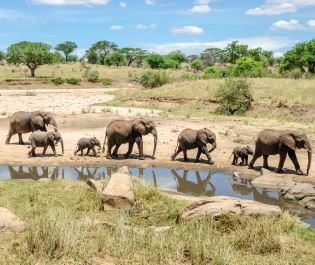 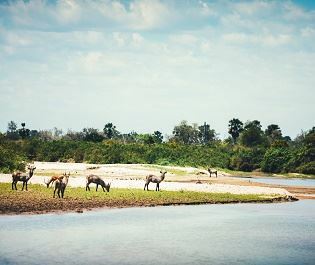 The camp doesn’t skimp on luxury amenities either, so you can be rest assured that each meal will offer wonderful silver service – whether it’s in the rustic dining area or out in the bush. 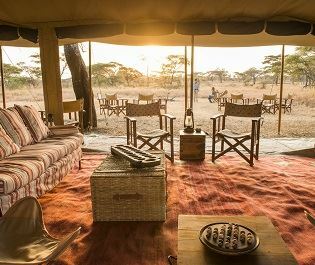 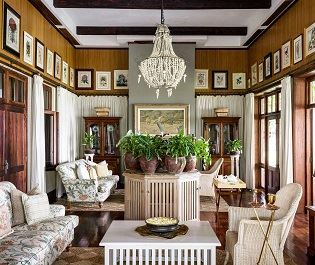 The lounge area offers an utterly charming spot to watch wildlife roam by, but we love the plush sofas dotted around the camp that all offer unique views. 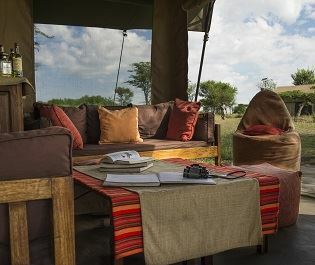 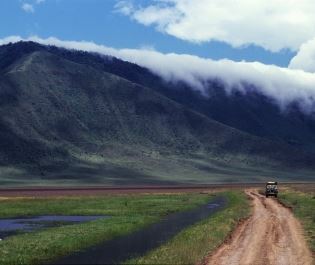 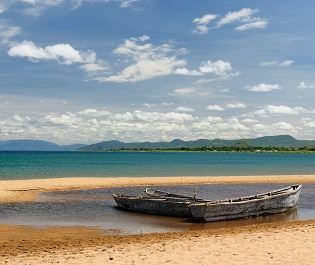 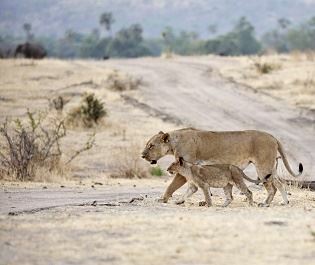 Open in western Serengeti June-July, north August-November, and south December-March. 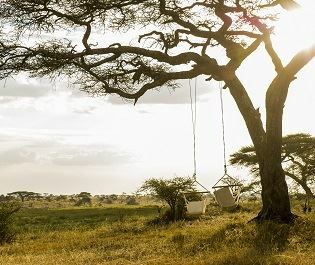 Children over the age of six are welcome.